We recently had the pleasure of exhibiting at the ADASS CareApps Showcase 2017. 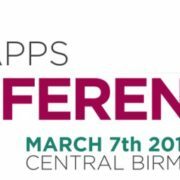 The Care Apps Showcase is part of a wider online programme to raise awareness and understanding of digitally enabled health and care among providers and commissioners of health and social care and carers and their families. At the event, we were exhibiting our CareDirector Integrate Mobile App. Our latest app has been developed for Health and Social Services professionals, to deliver efficiencies to case management. CareDirector Integrate aims to take the inconvenient and outdated practices away from a caseload by delivering a mobile, and paperless app capable of offline working. CareDirector Integrate is locally configurable to suit care professionals working needs so that they can spend more time with the people they serve and less time on admin. 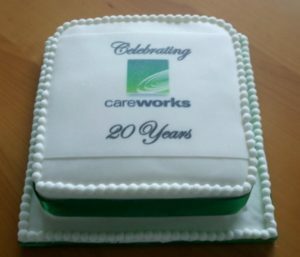 We are delighted to say that this week CareWorks has celebrated its 20th year in business. February 26th has marked our 20th anniversary and what a time it has been. We have grown from a small company based in Dublin to delivering world class health and social software solutions around Ireland, United Kingdom and the United States. Our work has always been about people, helping them work better and helping them to help others. This continues to be our mission. 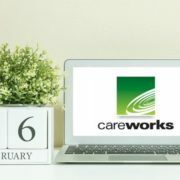 We would like to say a big Thank You to all our customers, who have made the company what it is today and to all our staff, who have helped to build and grow CareWorks from its humble beginnings. Thank you to Deirdre, who made this amazing cake for our 20 Year celebration!